Orlando, Florida -- Dean Mead announced today that three shareholders have been elected to serve on the firm's Board of Directors including: Mr. Matthew J. Ahearn, Ms. Kimberly B. Rezanka, and Mr. Stanley A. Gravenmier. Ahearn practices in Estate and Succession Planning and is Board Certified in both Wills, Trusts & Estates and Tax Law by The Florida Bar Board of Legal Specialization. He has extensive experience in the areas of estate and business succession planning, asset protection planning, charitable planning and planning to minimize or avoid wealth transfer taxes. Ahearn handles all aspects of probate and trust administrations, including estate and gift tax audits before the Internal Revenue Service. He represents both beneficiaries and fiduciaries in contested matters. 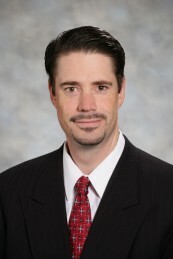 Rezanka leads the firm’s Real Estate Development Industry Team. She represents business entities and individuals in matters involving contracts and in matters concerning governmental activities. In matters involving contracts, Rezanka handles matters ranging from simple breach of contract actions to complex cases involving fraud, theft and tortious interference with contracts. In matters involving governmental activities, Rezanka manages issues involving land use, zoning, code violations and administrative hearings. Rezanka has extensive courtroom experience, including jury and non-jury trials and appellate hearings. 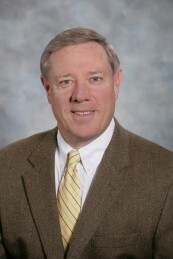 Gravenmier is the Chair of the firm’s Real Estate Department. He focuses his practice on commercial loan transactions, real estate development, financing and leasing. In addition, he has extensive experience in the areas of Florida documentary stamp taxes and intangible taxes incurred in connection with conveying and mortgaging real estate.